A blog with diasporic proclivities: Goa and the World, South Asian Americana, and Afro-Asiatic connections. Though the Goa Tourism Master Plan commissioned by the government expects to renew the industry, it fails to imagine a role for Goans that extends beyond that of service-providers. Buried within the recently released Tourism Master Plan (TMP) that the Goan government commissioned from the multinational corporation KPMG is this vision of how Goans are to be involved in the marketing of their homeland: “Campaigns with state coverage should be undertaken to inform citizens and raise their awareness on the importance of tourism and tourism hospitality. 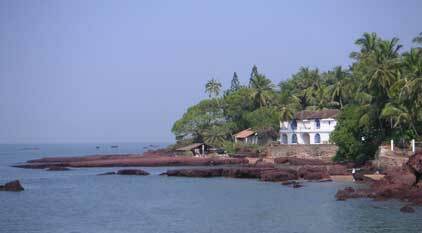 In addition, a civic pride campaign should promote the uniqueness, protection and the importance to conserve the national Natural and Cultural heritages of Goa (either monuments or living culture and nature) while encouraging Goans to travel and visit destinations within their Taluka and others” (p. 83). Well, the last time I checked, Goans do travel quite often “within their Talukas and others”. It’s called going to work. The TMP not only envisages Goans as potential clients of the tourism industry in their own backyards, but it also wants to position them as servants to that industry rather than as stakeholders. So, even as the section of the TMP that is aimed at Goans is entitled “Building Awareness among Local Stakeholders”, it is additionally given the subheading “A Key Success Factor”, which suggests that the outlined measures are business tactics geared towards making Goans pliable as a source of labour. The delineated strategies include a list of four campaigns. The first, “Goan Pride”, is meant to “encourage domestic travels … in order to transmit the importance for Goans to know and feel their State”. It is followed by “Tourism Awareness in Schools”, which “seeks to promote the importance of tourism for the State of Goa among young people and highlight … career opportunities” Yes, Goans should be invested in knowing about Goa and should be exposed to in-state career options. 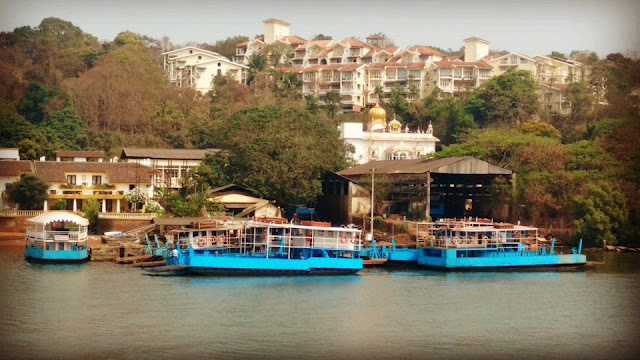 But even as the TMP touts education to boost state pride and dangles livelihoods before those of school-going age, its purpose in doing so is less for the betterment of Goans than it is to inculcate what in business-speak is referred to as a ‘buy-in’ into tourism. This is troubling for it is directed towards shaping the minds of the impressionably young, but equally so because the suggested pride-building in Goa is of a nationalistic ilk. Or so KPMG would have us believe, for under the ostensibly titled “Sustainable Tourism Awareness” campaign that wants to create “a culture which respects [the] environment”, the plan also recommends that this be done “by strengthening the national identity and pride”. In effect, then, it is not just that Goan youth are being asked to be environmentally and culturally conscious, but that such awareness be harnessed in profiting the nation, for the green and clean nation, here, is the brand that is being sold to tourists. It should also be noticed that at the same time as the TMP shackles environmentalism to nationalism, it has little to offer in terms of concrete measures regarding how the environment should be protected (one wonders how far the nice-sounding idea of respecting the environment can go in saving it), leave alone the lack of sustainability of tourism in general. The shallowness of the TMP is symptomatic of how KPMG operates. In an article tellingly headlined “Critics see KPMG Report as ‘Smoke and Mirrors’” (22 July, 2011), The Toronto Star informs how a commissioned service review for the Canadian city of Toronto, essentially boiled down to KPMG outlining what services should be axed. When the company’s representatives were questioned by a Councillor about whether they had “considered long-term costs associated with cutting support to business improvement areas? [And] [w]hat about the economic benefits of arts funding, social services and entrepreneurship support?”, they simply responded: “We weren’t asked to quantify the impacts of reducing or eliminating the service”. In the case of Goa, the marriage of alleged environmental awareness, national consciousness, and business firmly aligns such corporations as KPMG and the State in ensuring the neoliberal promise of delivering Goa and Goans at the altar of so-called national progress while promoting corporate business interests. While Goans are charged with rendering service to the nation, little is said of what KPMG and the government will do to ensure the protection of Goa’s natural heritage, and even less about what will be done to support the creation and retention of homegrown businesses. As further evidence of the servitude that is expected of Goans in the tourism industry, consider that the last of the four campaigns, which is labelled “Goan Hosts”, sets out how it will “[develop] training programs on customer service”. While all kinds of employment should accord those in service respect and rights, what does it mean when a government-commissioned master plan only foresees the role of the people of its state as “hosts” and not as entrepreneurs or innovators? In designating the place of Goans as those who are to be employed or are to be educated in providing service, the government and KPMG have fixed the future of many Goans within a narrow gamut of opportunities that do not encourage creativity, leadership, or innovation. This is extremely myopic, since the TMP is meant to envision Goa’s future as a tourism destination over the next 25 years. 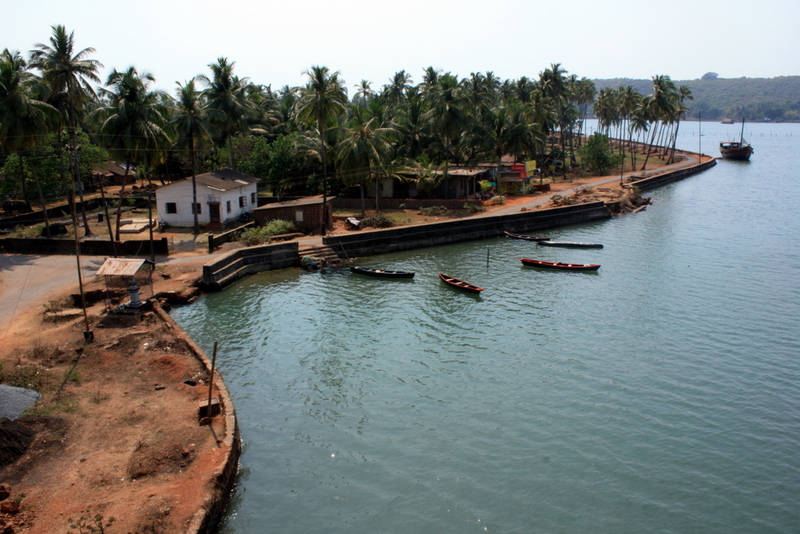 Between KPMG and the State, it has been decided that Goa must serve simultaneously as a pleasure periphery for India’s fun-seekers, but also as a hub for business providers from elsewhere who will profit off the land and its people while little investment is made for any purposes beyond the promotion and retention of corporate tourism.